As we all know times are changing in our sport. The mandatory rule of flying EN-D certified wings in world class competitions has given rise to a totally new challenge. That challenge is to be able to apply all our years of knowledge in research, design and technology to create a new profile capable of achieving a wing with EN-D Certification. The ICEPEAK 6, a new solution to a new challenge. We hope to have the IP6 available to all pilots during March. 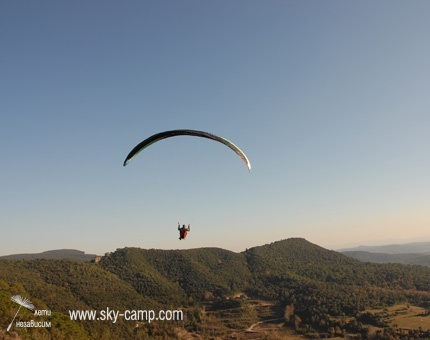 Our R&D team were faced with the difficult task of trying to improve the much loved Koyot, a wing appreciated by professionals, instructors and pilots new to the world of free flight. However, once again we have been able to apply all the new technological advances already used very successfully on many of our other wings to make significant improvements to the Koyot 2. 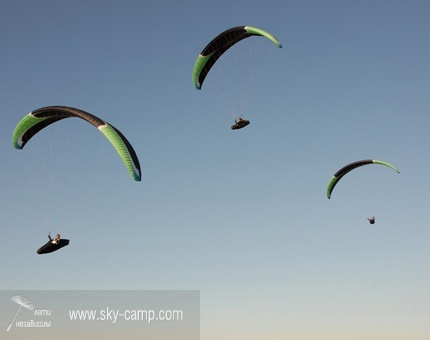 The KOYOT 2 will be produced in four different colours and six sizes to accommodate a wide pilot weight range. We hope to be able to offer you the Koyot 2 from April. Further information about this product will soon be available on the Niviuk website. In just 3 months the Artik 3 has proven to be a huge success for Niviuk. The latest in design innovation combined with ease of flight and high performance have ensured this wing will continue sit right at the very top of the EN-C class. With progressive, predictable and efficient handling the Artik 3 effectively reads the ever changing air mass, seeking out and coring thermals with efficiency and ease. It has taken two years of hard work to be able to present to you the Link and the Kougar, the two new Niviuk wings dedicated to the discipline of powered flight. Both wings have already been met with positive feedback from PPG professionals and pilots alike. Designed by experience, listening to the needs of powered flight professionals and with the Niviuk philosophy the LINK is a wing for easy and relaxed powered flight. Developed for the future using innovative and technical solutions, the Kougar is the paramotor wing for the more experienced pilots looking for stability, manoeuvrability and speed. The advanced Reflex System Profile requires less power from the engine to achieve greater thrust resulting in lower fuel consumption and higher overall engine efficiency. Speed and agility are enhanced by the high level of stability offered by the KOUGAR throughout the entire speed range and during unexpected turbulence. The N-GRAVITY2 and the F-GRAVITY 2 were exhibited at the 37th Coupe Icare and the feedback we have since received from the pilots who have had the opportunity to test fly these wings is nothing short of outstanding. 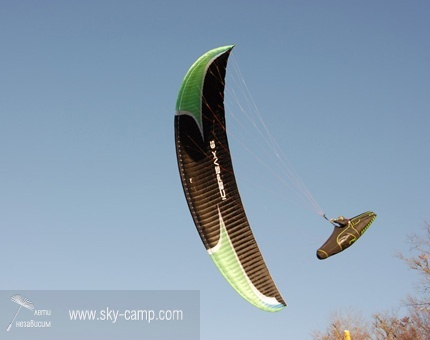 Due to the very high demand for both the Artik 3 and the Icepeak 6 we have had to make the difficult decision to postpone the immediate production of our Acro / Freestyle wings, however we hope to re-start the production of the N Gravity 2 and the F Gravity 2 during the 2012 season. The success of the Hook 2 can be measured by the ever increasing number of sales throughout the world and the pilots who fly in the EN-B category are telling us they simply love everything about this wing. The Hook 2 reflects the Niviuk passion and philosophy which has now become the signature of all Niviuk products. We still firmly believe in the Hook 2. The launch of the Peak 2 was an exciting moment for Niviuk and we had high expectations for its success. We are pleased to be able to say that all our expectations were very quickly surpassed and even after a very successful season in 2011 winning the Pre-Europeans in France, and championship competitions in Brazil, South Africa, Romania, Slovenia, Korea, Italy, Switzerland, Spain and Ecuador to name but a few, it still remains the classic EN-D wing yet to be beaten. The perfect combination of performance, ease of flight and security make the Peak 2 the EN-D wing of choice. When we created the Zion, we looked for an adaptable wing for those adventurous spirits seeking new experiences: the flight, the mountain, the journey, the thermals, the soaring, and the pleasure of speed and we achieved all that with the Zion. The feedback we have received has been spectacular with pilots from every corner of the world congratulating us for creating a wing which allows them to experience flights not possible before the Zion, a wing for all conditions. A very different glider for a very different pilot. The Northern Hemisphere is at the moment enjoying their season of snow and speed riding can be seen on most mountains. The SKATE with its wide range of sizes to suit all weights and its suitability for a broad range of pilot ability from novice to experienced speed riding pilots continues to be a huge success around the world. The continued demand not only by pilots but also by schools has guaranteed the continuity of this product for 2012. All sizes are available. NB: Only one colour per size – Custom colours are not available. The 37th Coupe Icare allowed us the opportunity to present to the pilots the new range of harnesses from Niviuk. We now have available a wide range of harnesses to suit every free flight discipline. The Drifter for Cross Country and competitions, the Transat for the professional use of the tandem flights, the Hamak 2 for intermediate pilots and the very adaptable and lightweight Roamer. The Drifter is pure aerodynamics at its best. With the pilot fully enclosed within the self-floating fuselage it gracefully and effortlessly cuts through the air. Of innovative design and built to meet the highest standards and expectations of the most demanding competition and cross country pilots, the Drifter is a fully integrated harness producing a very low drag substantially increasing the performance of the wing. The original Hamak returns with several improvements. We have evolved the all-round Niviuk harness, updating it with the most technological advanced materials, more resistant to wear and also lighter automatic buckles. The intuitive adjustments allow piloting of the wing in a fully upright position, a semi upright position, or in a totally supine position for long cross country flights. The high comfort level of the Hamak 2 allows the pilot to focus on the control and precision of flying, no more aches, pains and distractions. The Transat is the harness especially designed for the tandem lovers and professionals. It has been conceived for pilot comfort, mobility and security during the take-off and landing stages. It has a wide seat plate which adapts perfectly to the body of the pilot, allowing the passenger to be easily and perfectly positioned between the pilot’s legs, improving the control of the wing and comfort during the flight. It is built with the most technological and advance materials to be comfortable, light and durable. 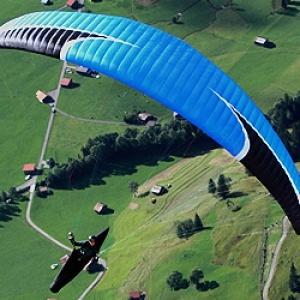 Niviuk gliders are designed and constructed using the very latest materials and technology. Performance innovations do require a certain amount of care, especially when folding the glider. To make this process easier we can introduce the new Niviuk NKare folding bag. This new NKare bag will assist to quickly fold and care the glider whilst maintaining the profile and integrity of the internal structures. We would like to remind you about the reduced cost of the NKare bag when ordered in conjunction with a wing, or when ordering a pack of ten. A rucksack designed by suitcase manufacturing specialists, designed to be practical, comfortable, light and robust. It has a total volume of 195 litres weighing just 1.45Kg. For 2012 we have introduce a new mini-rucksack. With less capacity (117 litres) than its bigger brother, it is lightweight and designed to transport smaller wings such as the Zion with comfort and ease. This mini-rucksack is an addition to the Niviuk range and not a direct replacement for the reversible Roamer which complements the Zion package. The answer to wrist and hand fatigue during flights is the Niviuk Ergo XC. The ergonomic design of the Ergo XC has been based upon the human anatomy, the biomechanics and the physiology during the flight. Available as a full kit the fitting of the Ergo XC is universal and can be easily fit to all wings, Niviuk or non Niviuk.